is said to be some of Canada’s best! In fact it was voted Canada’s Ultimate Fishing Town in 2011!! Walleye (Pickerel) is a cool-water fish native to Ontario. Our sparkling clean Northern lakes and rivers produce good size as well as large numbers of Walleye. Even the most seasoned fisherman will get excited just thinking about fishing this species this far north. Kanipahow Wilderness Resort and Outposts is fortunate to be on the Chapleau Lake and River system which never stops supplying our Walleye with fresh water and lots of food. Our Outposts are situated on lakes that were all fly-in until a couple of years ago. Because of recent commercial logging activity these Outposts are now drive-in/boat-in lakes that have never truly had fishing pressure applied to them, the fish are healthy and abundant. The Chapleau River has as many as 45 sets of rapids over 60 miles that supplies perfect spawning grounds which keeps the population of Walleye healthy and abundant year after year. From Kanipahow Resort you have access to nearly 14 miles of this system without ever needing to leave your boat. Finding a logical place to start is the first piece of the puzzle and includes the classic variety like shallow rock and gravel shorelines and bars. Rocks certainly are important as they are the key to successful Walleye spawns, but not all of the good Walleye lakes have a lot of rocks. In fact some of them are completely void, and one of the big reasons they are often overlooked. If you’re seeing some weeds popping up you can go back and work them over by dragging a bait like a jig and minnow (live minnows are a must in the early season). Their preferred cover are weed, wood and rock. The key is getting the bait to the bottom, giving it a short snap, and then letting the jig fall back to the bottom before repeating the process. When working over a weed flat; be sure to hit it all from deep to shallow. 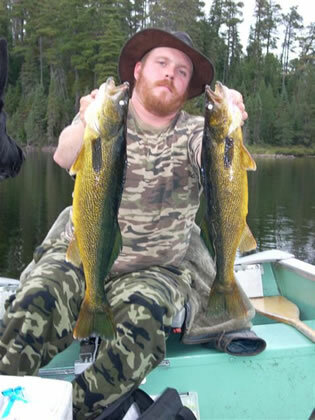 If you haven’t already done so, book your fishing trip as soon as possible to enjoy one of the most exciting and delicious freshwater fish species there is – Northern Ontario Walleye. 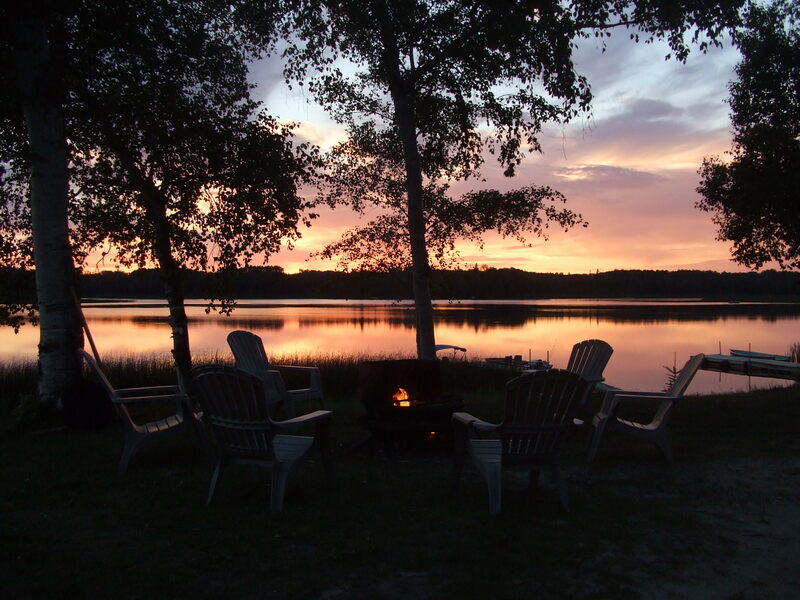 So give us a call for our cabin availability and we will gladly set you up for a memorable fishing adventure at Kanipahow Wilderness Resort and Outposts. There is Great Northern Pike fishing at our main base location and at all three of our Outposts. Even with all that food Ontario Northern Pike still attack your fishing line like a freshwater Barracuda. Big Trophy Northern Ontario Pike patrol the shoreline looking for anything that moves, they will eat anything. Just make sure you keep a couple for lunch because the Northern Pike up here taste excellent, they are just as sweet as Walleye. Kanipahow Outposts over the years has produced many of our guests personal best and 40+ inch catches have been recorded every year. If you haven’t caught a 30+ inch Northern Pike yet come see us and give it a try at Kanipahow Wilderness Resort and Outposts. While we can’t put the fish on your hook for you, we can lead you to some of the most productive Northern Pike waters there are to greatly increase your opportunity. For anyone not knowing how to clean a Northern Pike there is a video on our website that shows you the best and easiest way to do so. Enjoy! 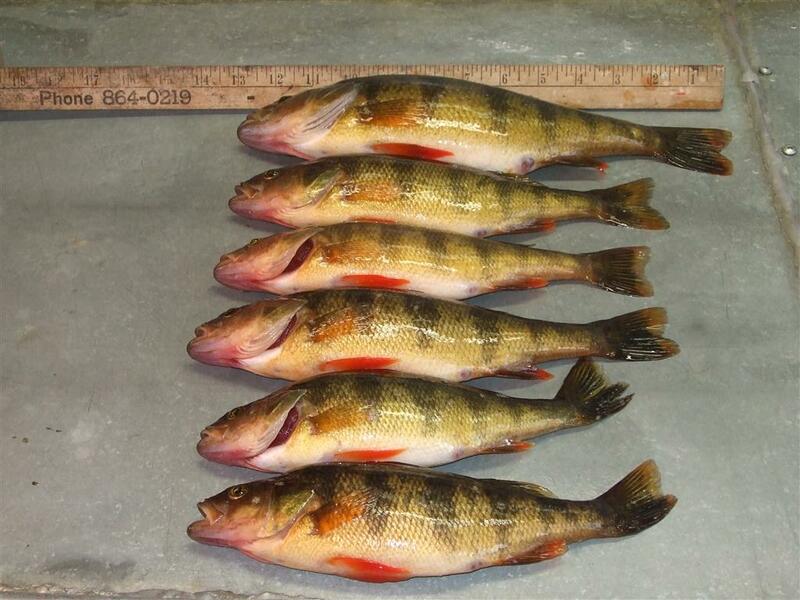 Any Perch over 10 inches is called a Jumbo Perch and the water around Kanipahow Wilderness Resort and Outposts is well known for its’ Jumbo Perch population and there are days when you can’t keep them off your line. For many Canadian anglers, Perch are synonymous with summer fishing outings at the cottage with the kids. Scrappy fighters and with an excellent sweet taste to it. Their ideal habitat weed beds, cool and clear water with a rock, gravel or sand bottom. They are not light sensitive and are not shy about feeding during the day when they pursue their prey with a keen visual sense, often cornering fish against a boulder or other obstruction. Adult Perch will eat small fish, crustaceans, snails, leeches and aquatic insects but, they do love worm “night-crawlers” and they’re attracted to bright and shiny colors (like red and yellow). 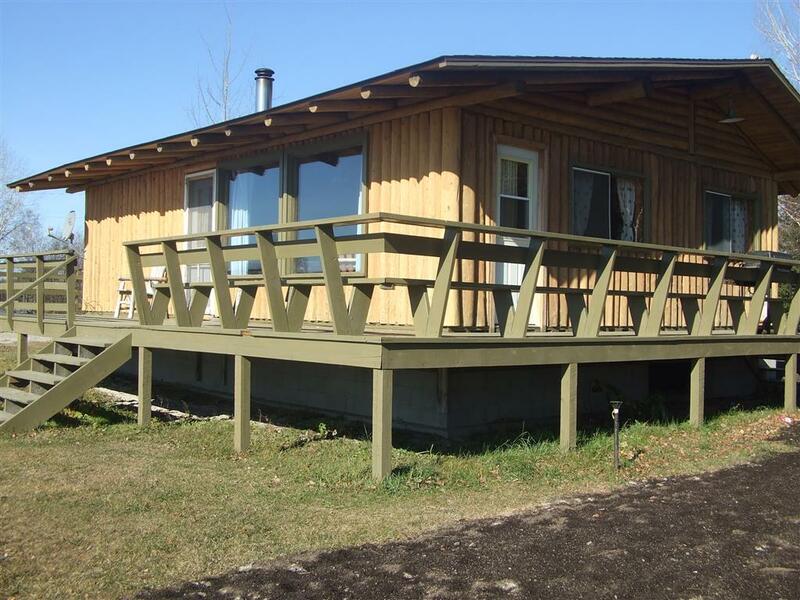 With Kanipahow Resort located on Chapleau Lake it is situated in close proximity to several of these habitats and provides year round quality Jumbo Perch fishing for our guests and locals alike. If you haven’t already done so, book your fishing trip as soon as possible to enjoy one of the most exciting and delicious freshwater fish species there is – Northern Ontario Jumbo Perch. 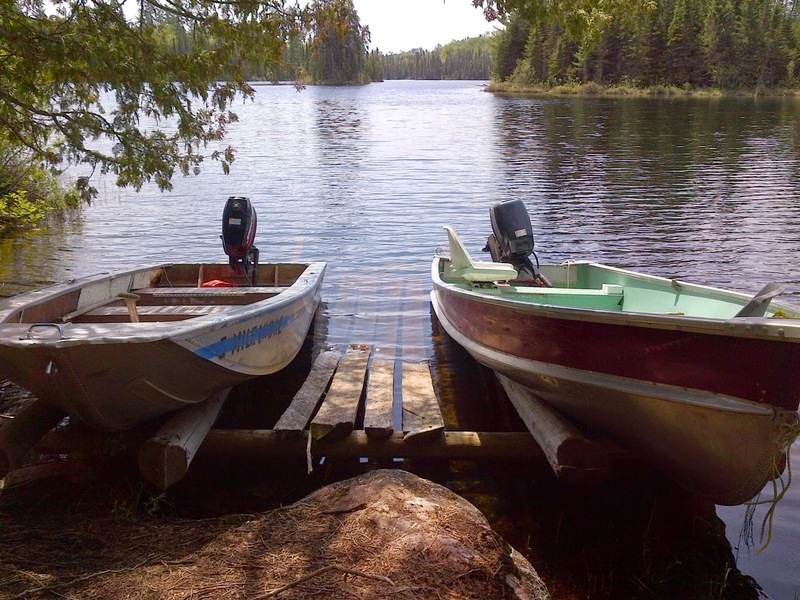 At Kanipahow Wilderness Resort and Outposts we have large populations of Lake, Brook & Splake Trout. The population in the areas’ fishing streams, beaver ponds and lakes are stocked and managed by the Provincial Ministry of Natural Resources (MNR) and are all healthy. If you feel adventurous and want to enjoy the full experience of fishing some of these locations then you have come to the right spot. if you want to have access to many lakes and streams that have not had any fishing pressure put on them ever, then you may want to come give Trout fishing a try at Kanipahow Wilderness Resort and Outposts. If you don’t mind getting a little Ontario pin stripping on your vehicle (branch scratches or you have an ATV it would be best to bring it along, then you can go down old trails and abandoned logging roads to many of these spots that are hardly ever fished. Ontario Brook Trout are not only the most beautiful fish but the best tasting of the trout family. 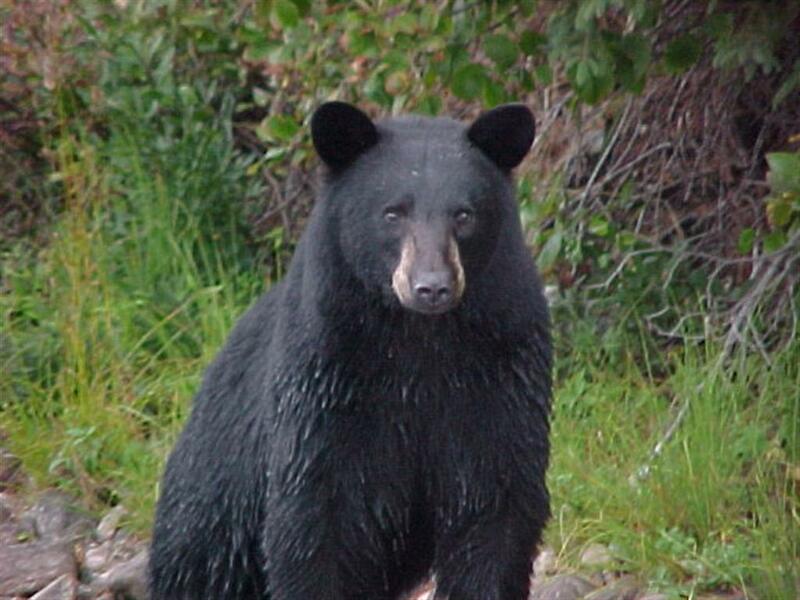 Their habitat is a year-round supply of cold, clear water plenty of cover from overhanging branches, logs and rocks streams with cool, quiet pools between runs of fast water and rapids clear, cold lakes and beaver pond. The Splake Trout (hybrid Speckle and Brook Trout) need a year-round supply of cold, clear water typical trout habitat. You catch them in shallow water just after ice-out using light tackle or flies. Rising water temperatures send Splake into deeper water to feed on minnows and other fish. They are shy and easily-spooked. We have many ‘MNR stocked’ Lakes within a 10 minutes drive from Kanipahow Resort. The Lake Trout is a cold-water fish found in waters at least 15 metres (50 feet) deep. However in the spring they are found near the surface just after ice goes out, and deeper as the water warms up. In early spring, some feed aggressively before dark, in the summer, Trout hit best in the morning when surface waters are calm and cooler. Spring Trout fishing in the Chapleau area is one of our best kept secrets. 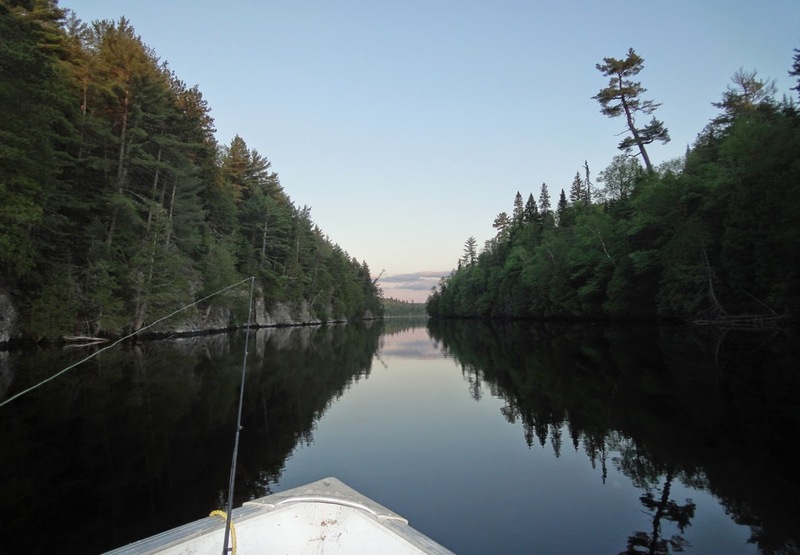 If you haven’t already done so, book your fishing trip as soon as possible to enjoy one of the most exciting and delicious freshwater fish species there is – Northern Ontario Trout. The Lake Whitefish are cool/cold water fish. They are found in a large number of inland lakes in Northern Ontario. They spawn from September through January in water two to four meters (6ft – 14ft) in depth during the night. In the autumn, mature Lake Whitefish enter the shallows to lay their eggs on shoals of rubble and gravel. There is no parental care of the young. In the following spring the young will hatch. In late June and July Lake Whitefish leave the deep, cool waters to feast on emerging mayflies and midges. Their natural predators include Lake Trout and Northern Pike. They are an excellent eating fish and smoked Northern Ontario Lake Whitefish is coveted. If you haven’t already done so, book your fishing trip as soon as possible to enjoy one of the most exciting and delicious freshwater fish species there is – Northern Ontario Lake Whitefish.